(Bloomberg) -- Jason Kenney has had it with the passive approach to fighting for Canada’s energy sector. The United Conservative Party leader, likely to become premier of Alberta in elections next week, is promising lawsuits, boycotts and tax cuts to revive an oil industry under siege. Whether he can do much to solve the sector’s intractable problems, many of which are beyond his control, remains to be seen. 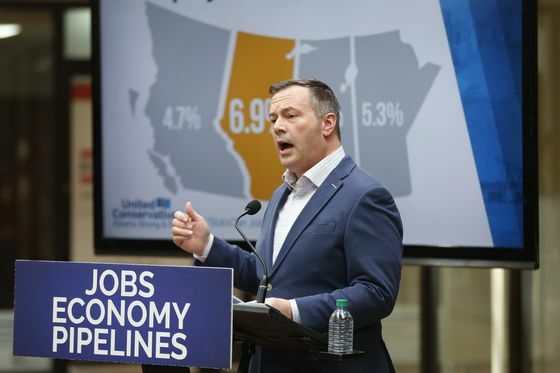 Kenney’s bid to reinvigorate Alberta’s oil industry -- which has suffered from a chronic pipeline shortage that’s led to low crude prices and a dearth of international investment -- will have national and global implications. 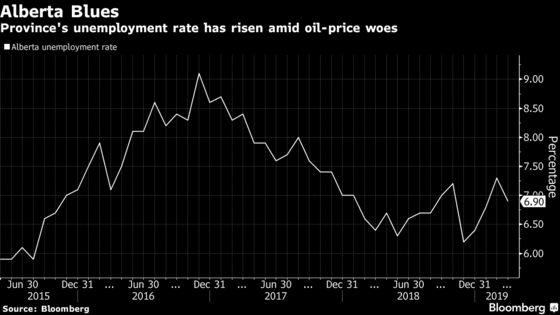 The province churns out about four-fifths of Canada’s oil, an industry that accounts for 10 percent of the nation’s economy and 20 percent of its exports. The province’s 3.7 million barrels of daily production put it roughly on par with the United Arab Emirates. Kenney’s platform acknowledges energy industry emissions are contributing to climate change and says his party is committed to mitigating greenhouse gas emissions. His solution is to require large emitters to reduce intensity by 10 percent, purchase credits from other facilities or pay into a fund to develop emissions-reducing technologies. While most of those proposals will find easy support in the industry, he may receive push back on one idea: scrapping the current government’s plan to invest C$3.7 billion to add 120,000 barrels of crude-by-rail capacity. Kenney says the private market will invest to solve the problem and that the government shouldn’t risk taxpayer money. Deloitte analyst Andrew Botterill said last week that scrapping the plan could cause a drop in local heavy crude prices, which have gained almost 90 percent this year to more than $55 a barrel, near the highest in almost a year. Beyond the energy industry, Kenney plans to cut the business tax rate to 8 percent from 12 percent over four years. Even while cutting taxes and maintaining operating spending at current levels, he plans to balance the budget within his first term. Alberta is projected to run a C$6.93 billion deficit for the fiscal year that just ended.